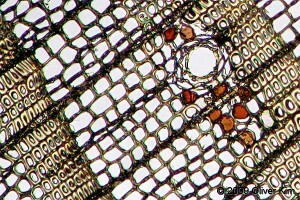 Wood of the Spruce Tree (Picea) – a conifer. 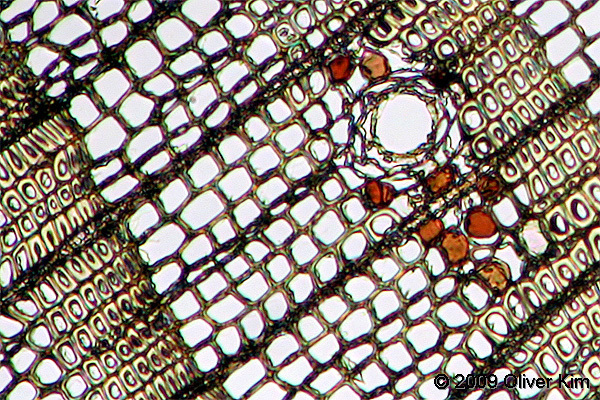 Wood of the Spruce Tree (Picea) – a conifer. The annual rings can also be seen. 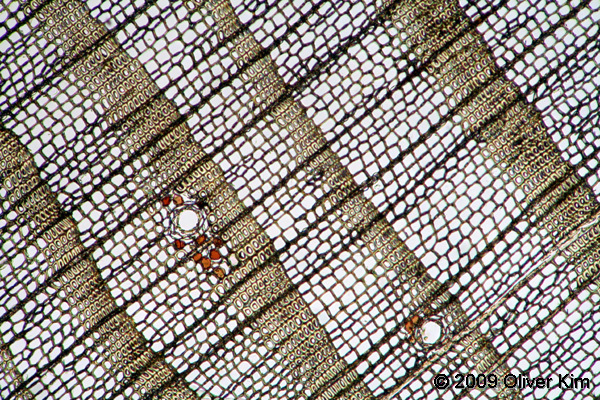 The two pictures show a microtome cut of a piece of spruce wood. The image was taken under bright-field. Spruce trees belong to the genus Picea. This genus contains about 35 separate species. Spruce trees are evergreen coniferious trees and can be found in the colder, northern regions of the earth (the taiga). Most spruce trees are between 20 and 60 m tall, but they can reach a height of up to 95 meters. The wood of spruce trees (known as whitewood) has a range of different applications. It is used in paper manufacture and also in musical instruments. The needles of the tree can be boiled to make tea, rich in Vitamin C. The needles are also a source for essential oils and can be used to produce spruce tip syrup.